A Nice Saturday Ride to Hastings. We will take the train to the start point which will be sent out later in the week. 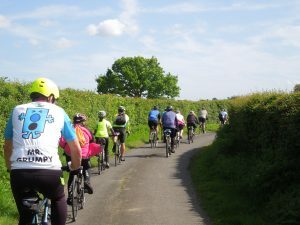 We will follow the Cuckoo Trail and other scenic lanes, for a thirty-five miler through the lovely Sussex countryside. The ride is generally quite flat and suited to most abilities. Not for children. A train assisted ride. More suited to hybrid style bikes rather than road bikes.